Qatar Airways invites travellers to enjoy a number of exceptional deals across the airline’s global network. Until January 16th, the airline offers extraordinary deals for business class and economy class along with special companion fares, discount on group bookings and free flights for kids, with terms and conditions applied. 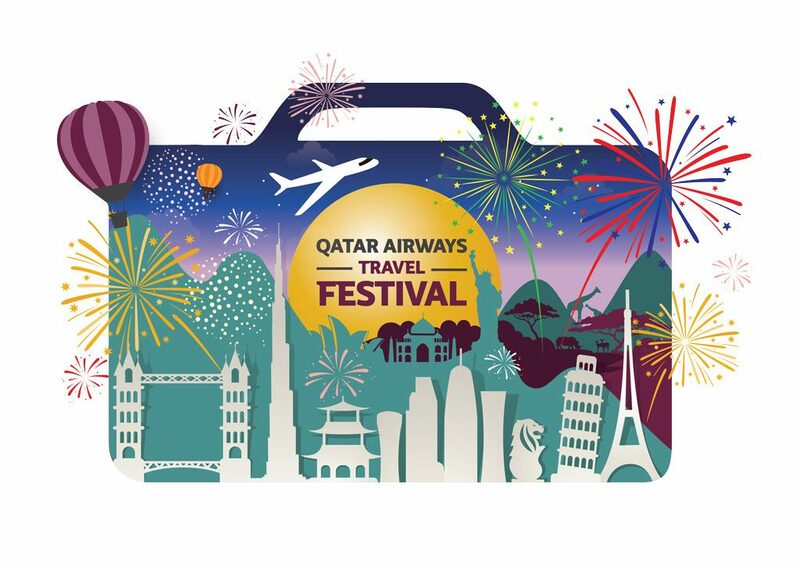 The Qatar Airways Travel Festival online Treasure Hunt will also offer Qatar Airways’ millions of social media followers the opportunity of searching for a zero fare Golden Ticket to an exciting global destination that will be released on the airline’s social media channels Facebook, Instagram and Twitter throughout the sales period. Starting this year, customers can choose from an even wider array of destinations with the launch of new services to Auckland, Canberra, Dublin, Las Vegas, Rio de Janeiro, Chile and more. Offers available throughout the festival are applicable on economy and business class return airfares, with a travel period between January 11th to December 15th 2017 to the more than 150 destinations worldwide including Middle East, Europe, East Asia, Asia Pacific and Africa. Customers can explore United States of America for IDR 15.501.800 per person, chase an endless summer in Europe with flights from IDR 7.765.100 per person or experience the diverse Middle East culture with flights from IDR 9.195.000 per person. The airline has partnered with Visa for payment methods with an additional discount up to 15% on flight bookings. Travellers can also take advantage of the airline’s partnership with Accor Hotels, receiving a 10% discount when booking accommodation via the airline’s website, as well as additional benefits on great flight and hotel packages when booking with partner Expedia.